Organic vs. Non-Organic Produce: What's the Difference? 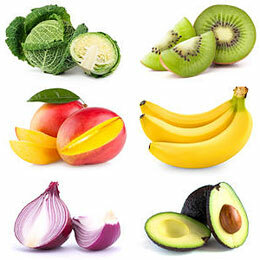 Home » Ask The Trainer Blog » Men's Fitness » Organic vs. Non-Organic Produce: What’s the Difference? Is there a difference between buying organic and non-organic produce? How many times have you stared at organic apples and regular apples and wondered what the difference was? There have been several debates about whether organic produce is actually better or if it’s merely a scam to get consumers to purchase more expensive fruits and vegetables. There are several differences between organic and non-organic produce. If you’ve walked past the designated organic section at your local grocery store, you’ve probably noticed that organic produce is sometimes oddly shaped and smaller when compared to non-organic produce that look nearly identical and larger. When the quality of organic and non-organic products are compared, you don’t see much of a nutritional difference. The major difference between organic and non-organic produce is defined through the amount of additives, pesticides, and other artificial substances such as hormones and antibiotics used and found on the product. What do pesticides, hormones, and other artificial substances do to your body? 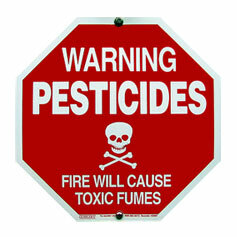 A pesticide, defined by the Environmental Protection Agency, is a chemical used to prevent, destroy, or repel pests. The usage of pesticides deters consumption of food products by insects, birds, and other animals that forage. Pesticides have the ability to kill living things. Don’t forget that humans are also living things! Depending on the type of pesticide, health effects will vary. Some pesticides affect the nervous system while others affect the skin and eyes. Sustained consumption of large quantities of pesticides may lead to an increased risk of cancer and death. Hormones are commonly used in the food animal industry to make livestock gain weight faster. The more weight an animal gains, the more meat the producer can profit. Hormones can also increase the milk production of dairy cows. 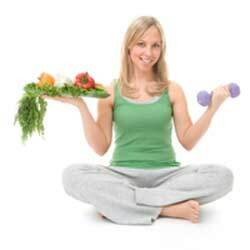 The most common types of hormones are synthetic estrogens and testosterone. Antibiotics are often given to food animals to increase growth or feed efficiency. Once the animals are exposed to antibiotics, the bacteria in their systems are also exposed to low doses antibiotics over an extended period of time. Low concentrations of antibiotic exposure in the long-term may result in the proliferation of antibiotic resistant bacteria. What foods are good to buy organic? A quick and easy way to determine whether or not you should buy organic at a grocery store is to examine two aspects of the item in question: a thin outer layer and sweetness. If a fruit or vegetable is sweet and has a thin outer layer, it is more likely that a large amount of pesticides are used in production to deter insects and animals. Strawberries are very sweet and desirable to insects and other foraging animals. They are sprayed with a large quantity of pesticide and would be safer to consume if purchased organic because there have been large quantities of pesticides detected on them. In fact, in a laboratory analysis there were greater than ten different pesticides found on strawberries! Because strawberries have tiny indented bumps that contain seeds, it makes it more difficult to wash off all of the pesticides before ingestion. Nectarines, like strawberries, are sweet fruits and are therefore subject to large quantities of pesticide. Most nectarines sold in stores are coated with a type of fungicidal wax that is used to extend shelf life. Although this type of wax is used as protection from insects and foraging animals, it is a chemical wax that cannot be removed through washing alone. According to the Environmental Working Group, more than 95.1 percent of commercial nectarines contain traces of pesticide. If you choose to buy nectarines that are non-organic, peeling off the skin should reduce the amount of pesticides consumed. Milk that is non-organic generally comes from cows that have been treated with a synthetic growth hormone known as the Recombinant Bovine Growth Hormone (rBGH). Dairy cows are often given this hormone to increase milk production for the farmer. rBGH may seem safe, but it has the tendency to increase compounds in the body that are linked to cancer. Another reason to purchase organic milk is because grass fed dairy cows produce more omega-3 fatty acids and less omega-6 fatty acids. On the other hand, dairy cows that are fed a corn based diet produce milk that has a higher amount of omega-6 fatty acids and less omega-3 fatty acids. Although omega-6 fatty acids are an essential fatty acid, on average Americans consume too much omega-6 through the large amount of vegetable oils used in the food industry and not enough omega-3. These fatty acids should be consumed in an approximate 1:1 ratio. Celery has been found to be high in pesticides. In fact, the USDA pesticide data program detected 64 pesticide residues on store bought celery. The fact that celery contains several traces of pesticides may seem surprising because it’s a vegetable and it isn’t sweet. However, celery stalks are very porous so they absorb most pesticides they are sprayed with. Beef purchased from stores were tested and found to contain several hormones. These hormones are typically more concentrated in the beef fat portion of the meat. Though beef is regulated by the USDA, it does not necessarily mean that all meat will be free of hormones. This is of concern because there is a strong correlation between the synthetic hormones given to cows and cancer in humans. 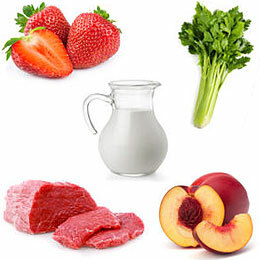 If these hormones are consumed in large quantities, the estrogen-like properties of growth hormones are likely to increase the chance of breast cancer. Organic beef not only prevents the use of synthetic hormones, but it also the large quantities of antibiotics that lead to antibiotic resistant bacteria in people as well. What foods do you not have to buy organic? Most fruits and vegetables that need to be peeled contain a smaller amount of pesticides because their thick skin prevents the absorption of the pesticides they are sprayed with. Onions were found to have very little pesticide. In fact, 98 percent of onions sampled by the Guide to Pesticides in Produce were pesticide free. Because onions grow underground, it deters pests. Additionally, they have a strong odor that almost acts as a natural pesticide that repels insects and animals alike. Cabbage made the Environmental Working Group’s “Clean 15” because it was found to contain a very small amount of pesticides. Cabbage has a natural resistance to insects and foraging animals because of it has a slightly bitter taste. Though cabbage is not a ‘peeled’ vegetable, the outer leaves protect the inner leaves from any pesticides sprayed during production. If you’re not buying organic remember to dispose the outer leaves before consumption. Mangos generally contain low amounts of pesticide even though they are a sweet fruit. Essentially, the typical mango has two layers of protection: the waxy outer coating that is sometimes added and its’ thick skin itself. 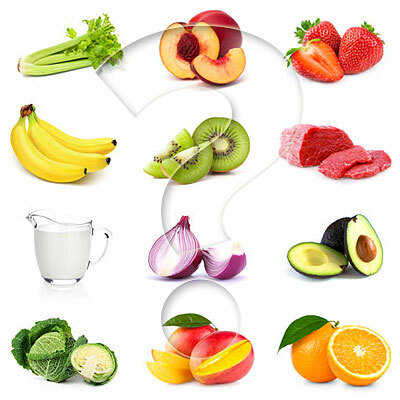 As long as the skin is removed before consumption, the fruit inside should be relatively low in pesticide. Avocados, bananas, and kiwis also have a thick peel that protects the flesh of the fruit and decreases the amount of pesticides and other chemicals absorbed. Think about what you’ve learned today the next time you’re grocery shopping and take a look at the different organic options available. At the minimum, remember or write down the lists above before shopping. You will be pleasantly surprised to find that many organic products aren’t always priced substantially higher than non-organic versions! If you’re not currently buying organic foods for you and your loved ones, I hope you at least walk away from this article with an enhanced perspective on the subject. While the choice is ultimately up to you, research generally shows that organic foods including fruits, vegetables, dairy, and meat products are healthier than their non-organic counterparts. Additives, pesticides, and other artificial substances like antibiotics and hormones aren’t used on organic foods which for obvious reasons is a good thing!